1. Your inquiry of our kettle will be reply in 24 hours. 7. Every kettle will be checked well in order to ensure the high quality. 2. Ensure the kettle delivery on time. 2. Delivery time: 60 days after deposit received. 4. Shipping port: Foshan/Guangzhou/Shenzhen, China. A: We are a factory. 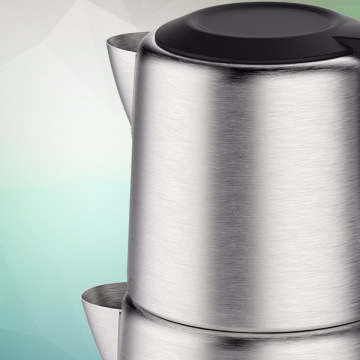 Design and produce all household appliances by ourself. Household Water Purifier, Food Steamer, Bread Maker, Slow Cooker, Air Purifier. A: You can directly through major inquiry and send e-mail to consult us. 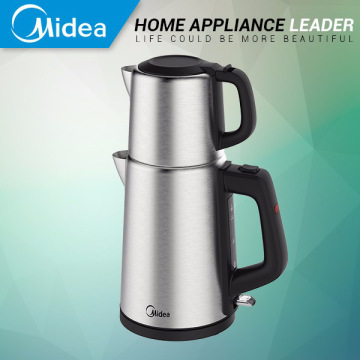 Midea Group, founded in 1968, is a large, modern integrated business group dealing mainly with home appliances. Holding 3 listed companies and 4 industrial groups, Midea is one of China’s largest production and export bases of white goods.2010 the turnover of Midea group exceeds RMB 100 billion.Midea Consumer Electric Mfg. 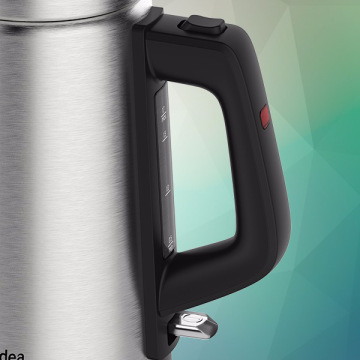 Co. Ltd. (MCE) founded in 2002, is one of the core divisions of Midea Group.The manufacturing of Rice Cooker, Induction Cooker, Electric Pressure Cooker and Water dispenser rank No.1 of the world in terms of sales amount and sales quantity.Over 300 new products are launched into the global market yearly in average. 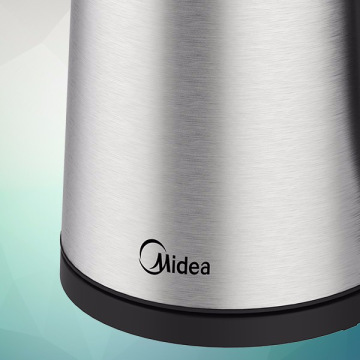 The main product of MCE includes Induction Hob, Induction cooker, Rice cooker, Electrical Pressure Cooker, Water Dispenser, Water purifier, Electric Kettle, Coffee machine, Slow Cooker, Deep Fryer, Grill, Electrical Steamer etc.Midea incorporates the environmental philosophy throughout all aspects of corporate activities. Midea facilitates the harmonious development among human beings, the nature and the society through the creation of value for customers, the creation of opportunities staff and the creation of wealth for the society. Together Midea creates a green and happy living environment for all human beings.Midea strives to spread innovative technologies, products and services across the globe, to become the world-leading home appliance enterprise. Factory Info: Midea Consumer Electric Mfg. Co., Ltd.
Introduction of Electric Kettle Factor Construction Area: 32,000 SqmAnnual Capacity : 20,000,00 unitStaff: 2,000 Engineer & Expert: 230Product: Kettle, Motor-driven productManufacture & Quality control:1 metal processing plant39 assembling lines300 sets major production equipment8 teams works in test lab, IQC and IPQC/OQC.